2014 was the best year on record for U.S. exits, with billion dollar moves from bold-faced names such as Facebook and Alibaba. 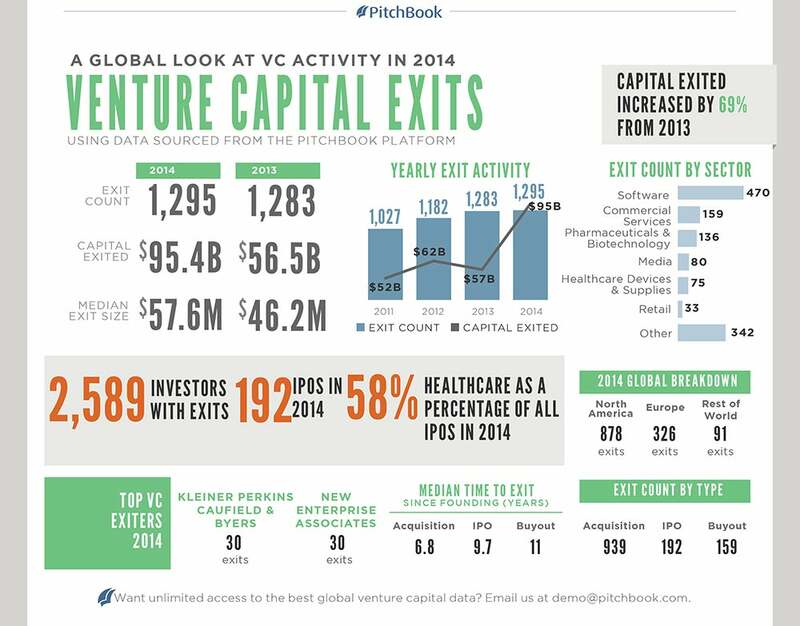 Altogether, last year's 845 VC-backed exits totaled $78.4 billion, a 98 percent jump from the year before, according to PitchBook, a Seattle-based data provider for the global VC markets. In this short video, we talk to PitchBook analyst Adley Bowden about these landmark deals and other exit market surprises that might be ahead for early-stage companies in 2015.